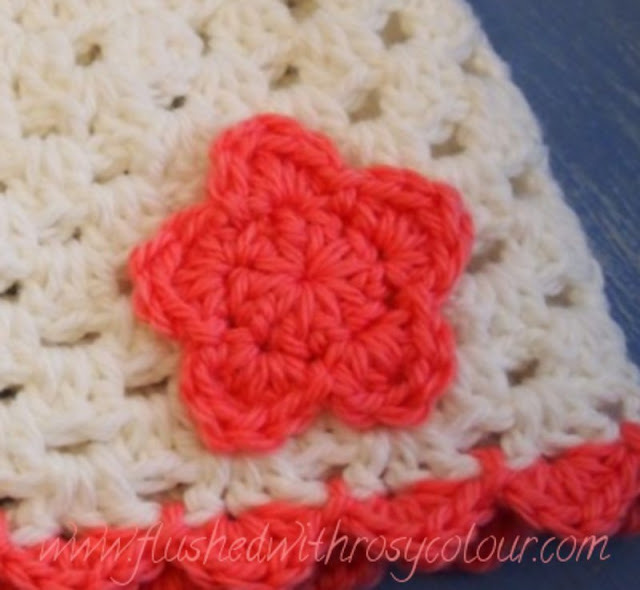 This flower is very similar to a simple flower, which is one of my most popular free patterns. I'm making this one available as a free download from Ravelry because I'm planning to include it in a set of hats I'm working on. The pdf file is easy to download and its free, you'll find it in my Ravelry store. It's pretty simple, hence why it''s called a Simple Flower! This one has 5 petals instead of 6, so it has 10 stitches in the first round instead of 6.